Sheldan Nidle was born in New York City on Nov. 11, 1946, and grew up in Buffalo, New York. His first extraterrestrial and UFO experiences began shortly after his birth and were highlighted all through his childhood by various modes of contact phenomena, as well as accompanying manifestations - light-form communications, extraterrestrial visitations, and teaching/learning sessions on board spacecraft. During most of his life, he has enjoyed ongoing telepathic communications and direct 'core knowledge' inserts (etheric and physical implants). Sheldan has visually observed and physically experienced spacecraft throughout the years. Around the age of fourteen, Sheldan requested that the Sirians and their Galactic Federation of Light Allies discontinue communications with him because he was experiencing overwhelming conflict between their scientific knowledge and what he was learning here on Earth. They left, but the Sirians and their Galactic Federation of Light Allies told him that they would be back when it was time to complete his mission for planet Earth and her people. In high school, he was placed in advanced science programs in subject areas such as physics, chemistry, and calculus. Sheldan received an M.A. in Political Science from the University at Buffalo in 1968. He also received an M.A. in Southeast Asian Government from Ohio University in 1970 and an M.A. in American Politics and International Public Administration from the University of Southern California, where he also pursued a Ph.D. program (1974-76). In the 1970s, he was Vice-President for Scientific Programming at Syntar Productions, where he co-created a documentary on the life and accomplishments of Nikola Tesla. From the 1970s through the mid-1980s, he was involved in scientific research on alternative sources of electrical energy. In the mid-1980s, his extraterrestrial contacts resumed. 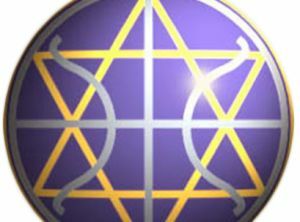 Currently, Sheldan is a representative and lecturer for the Galactic Federation of Light and, in November 1997, founded the Planetary Activation Organization (PAO). Final Celebrations Are Coming Into View! Hallelujah!! We Return With Uplifting News! Puzzle Pieces Are Falling Into Place. Prepare Yourselves.The Day Of Reckoning Approaches! Hooray For The Onset Of A Brand New Day! Prepare For A Marvelous Miracle! Hallelujah! It Is Time For All To Come To Fruition! Let Our Future Be What Makes Our Hearts Sing! Magically A Series Of Sacred Moments From Beyond! Allow Everything To Achieve Its Promised Reality! A Time Of Wonders And Miracles! Prepare for Your Inevitable Glory! Heaven-Sent Governance Is On The Horizon! Be joyous and know that your time is coming! These times are indeed a-changin’! Rise Up and be Sovereign, Prosperous and Free! A Most Joyous Year for Everyone! Across this globe a grand renaissance of consciousness.. Celebrate this Era of Liberty, Prosperity and New Governance! New age of spiritual discovery! A time of great peace and the dawn of an immense prosperity! The Time for these Great Changes is NOW! Be ready for a whole host of wondrous events! Long Live this New Age!!!! A marvelous destiny lies ahead! Peace for all the Beings of this galaxy! A grand global revolution of consciousness! Some great changes are on the horizon! On the verge of "something wonderful"
Your Victory is in sight! Progress toward a mass global success..
• Final Celebrations Are Coming Into View! Hallelujah!! • We Return With Uplifting News! • Puzzle Pieces Are Falling Into Place. • Prepare Yourselves.The Day Of Reckoning Approaches! • Hooray For The Onset Of A Brand New Day! • Prepare For A Marvelous Miracle! Hallelujah! • It Is Time For All To Come To Fruition! • Let Our Future Be What Makes Our Hearts Sing! • Miracles Are Indeed Happening! • Magically A Series Of Sacred Moments From Beyond! • Allow Everything To Achieve Its Promised Reality! • Welcome To Your New Reality! • A Time Of Wonders And Miracles! • Prepare for Your Inevitable Glory! • Heaven-Sent Governance Is On The Horizon! • You Are Truly On The Verge Of A Most Divine Time In Your Lives! • Be joyous and know that your time is coming! • These times are indeed a-changin’! • Rise Up and be Sovereign, Prosperous and Free! • A Most Joyous Year for Everyone! • Across this globe a grand renaissance of consciousness..
• Celebrate this Era of Liberty, Prosperity and New Governance! • New age of spiritual discovery! • A time of great peace and the dawn of an immense prosperity! • The Time for these Great Changes is NOW! • Be ready for a whole host of wondrous events! • Long Live this New Age!!!! • A Very Special Moment..
• A marvelous destiny lies ahead! • Peace for all the Beings of this galaxy! • A grand global revolution of consciousness! • Some great changes are on the horizon! • Allow for the unexpected! • On the verge of "something wonderful"
• Your Victory is in sight! • Progress toward a mass global success..
• Your time to shine..
• Thank Heaven for these most wondrous gifts! • Be joyous and ready for a most marvelous future! • Your future is indeed bright - Sheldan Nidle's Update for December 30, 2014. • Heaven has long foretold us of this time - Sheldan Nidle's Update for December 23, 2014. • Clarion call for liberty, sovereignty and prosperity for all - Sheldan Nidle's Update for December 16, 2014. • A special gift during this holiday season - Sheldan Nidle's Update for December 9, 2014. • Heaven is readying a surprise for you - Sheldan Nidle's Update for December 2, 2014. • Sheldan Nidle's Update for June 17, 2014 - Legends are to be made! • Sheldan Nidle's Update - A New Golden Way Awaits! • Sheldan Nidle's Update~5-6-14~The Light is Indeed Triumphant!